The mother of all Electronics Companies. Western Electric always did a pretty good job of documenting it’s activities, & here we see the setting of the stage upon which some of the finest electron tubes ever to be made would appear. 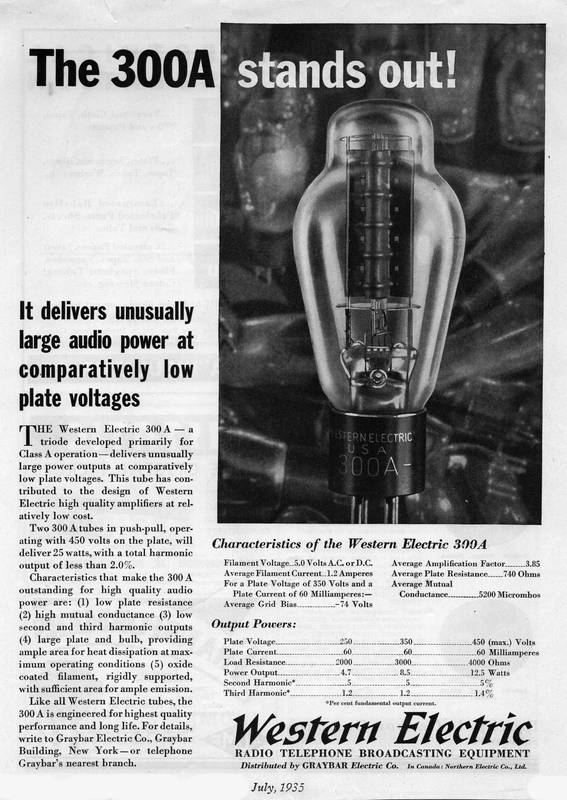 By it’s 50th anniversary (1919), Western Electric had already been making telephone repeater tubes for 5 years. 1919 was also the year the first large-scale public address system utilizing tube amplification was demonstrated. (Peter Jensen was also doing systems but at a much smaller scale.) The event was New York’s “Victory Day” celebration after WW-1. This system used 113 loudspeakers and approximately 66 tubes! Eighty-five years later thousands of Western Electric tubes & speakers still make beautiful music.